There is general agreement in the voice literature that good, functional posture is fundamental for quality of the human voice, and most people would probably acknowledge that a good voice requires good posture. 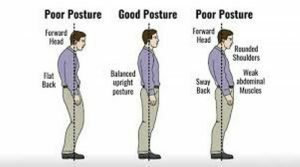 In fact, when I ask a group of individuals with Parkinson’s what they need to do to project their voice, many will respond: “sit or stand up straight.” But, what is not as well understood is what effect voice disorders have on posture. A group of Italian researchers wanted to better understand the relationship between the larynx, voice disorders and posture, and so they conducted a study investigating the effect of postural alterations in subjects with dysfunctional voice (dysphonia) and analyzed the study participants before and after specific speech treatment. A difference in their research, perhaps from other voice research on this subject, was that they they were mainly interested in investigating the reflex component that controls posture alignment, namely the spinal vestibular reflex, the body’s automatic response to adjusting balance and maintaining equilibrium. (Central vestibular function may be a contributor to falls and postural instability in many persons with Parkinson’s disease). All of the patients enrolled in the Italian study had been suffering from chronic dysphonia for at least six months, with variable periods of deterioration, and they all remarked that their voice disorder limited their social or working life. Since speech production requires adequate coordination between respiratory and laryngeal activities, or what is referred to as pneumophonic coordination, pneumophonic function was evaluated and found to be uncoordinated in all of the study subjects. Additionally, the majority had various degrees of postural abnormalities, such as: intra-rotation of the shoulders, caved-in chest and hyperextension of the neck with the jaws slightly thrust forward. Postural testing was carried out using a computerized platform, with the patients standing upright with eyes open and closed. Study subjects were than enrolled in a speech therapy program, which was provided five days a week for four weeks in 60 minute sessions. Therapy sessions focused on posture awareness/control and voice production. In particular, the aim of this therapy was to facilitate global postural alignment in association with proprioceptive vocal exercises aiming to restore tone to the diaphragm fascia, relax the shoulder girdle and facilitate projection of the voice. Following the speech rehabilitation program, direct visualization of the larynx (voice box)revealed an improvement in laryngeal function in all subjects, and the investigators suggested that the relationship between posture and voice appears to move in a two-way direction. That is, modification in posture can affect the voice, and alterations to the voice production mechanism can cause modifications in posture. They describe a chain reaction, in which better control over voice and breathing led to improvement in posture, and vice-versa, through a reciprocal activation-stimulation mechanism,concluding that rehabilitation should involve voice and postural performance. A Whole Body Voice Strengthening Program: How Can it Help? 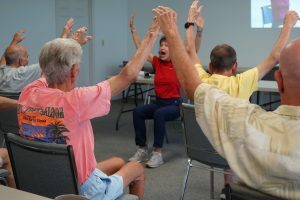 Voice Aerobics® was created in 1999 as an after therapy program for individuals with Parkinson’s disease and related diagnosis. 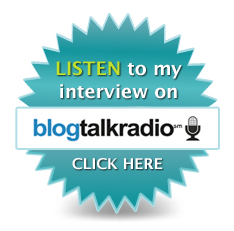 It is a whole body approach to voice practice. The class is guided and participants are coached to focus on Posture + Breathing + Voice. In 2013, following several months of attendance in a weekly class and use of the Voice Aerobics DVD at home, participants completed a survey. A statistical improvement in voice loudness was noted and non-voice improvements in flexibility, increased range of motion and breathing were reported. The Voice Aerobics® DVD was recorded in 2008, and offers individuals a fun and easy way to practice at home using a 57 minute guided program. Don’t let transportation, weather, or availability of a class prevent you from practice. Why not try it now? Available on DVD or streaming video. Buy or rent.